When it comes to fire protection for your commercial building, you will want to be sure you have the best possible solutions in place. When it comes to fire protection for your commercial building, you will want to be sure you have the best possible solutions in place. Knowing what options are available is important. Deluge systems and pre-action systems are two less commonly known types of sprinkler systems available in commercial applications. Here’s what you should know about them. Deluge systems are dry systems that have open sprinkler heads, but the pipe is not pressurized with air. The deluge system is connected to a smoke detection system. When activated it opens, and water is discharged through all the sprinkler heads. 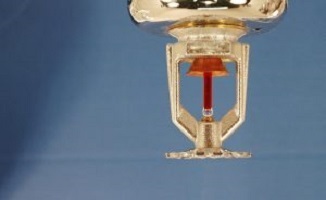 Pre-action fire protection systems, on the other hand, use both wet and dry components to control and extinguish fires. The pipes serving pre-action systems are constantly filled with highly-compressed air, but the sprinkler heads are left closed. This is the major difference between the two systems because, in the deluge systems, the sprinkler heads are left open. Until it is activated, this system is a dry one. Data Centers and other data storage facilities. This entry was posted on Thursday, October 4th, 2018 at 11:02 am. Both comments and pings are currently closed.